The Police Records Unit is responsible for the maintenance and storage of all police reports, criminal records, motor vehicle crash reports, and all service call reports. The Police Records service window is located in the lobby of the Medford Township Public Safety Building at 91 Union Street, Medford. The Records window is open Monday through Friday from 8:30 AM until 4:30 PM, and is closed on weekends and all major holidays. It is recommended that you call ahead to assure that the information you are seeking is available. Most police reports require at a minimum 7 days for processing. The Records Clerk may be contacted at (609) 654-5833. 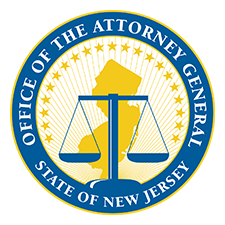 Discovery requests made by individuals, attorney offices, and insurance companies must be made in writing and mailed to: Medford Township Police Department, 91 Union Street, Medford, NJ 08055, Attn: Records. Requests may also be faxed to (609) 953-3844. Motor Vehicle Crash Reports may be acquired by using www.crashdocs.org. Motor Vehicle Crash Reports may also be acquired by using LexixNexis Police Reports. The Medford Township Police Department complies with New Jersey's Open Public Records Act, commonly referred to OPRA. For more information on OPRA, please visit the Citizens Guide to the Open Public Records Act. If you would like to request records through OPRA, please complete the provided form and either drop it off or mail it the Medford Township Clerk's Office, located at 17 North Main Street Medford, N.J. 08055.